The low-priced hits just keep on coming. 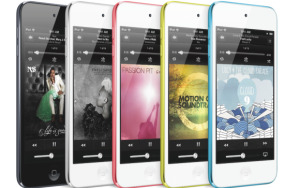 Apple on Thursday announced a new version of its 16GB iPod touch, available for just $199, as well as dropping prices on the 32GB and 64GB models by $50 and $100, respectively. If you’ve forgotten The Strange Case of the 16GB iPod touch, don’t feel too bad: The $229 model debuted in May 2013 with a few … peculiarities. For one thing, it featured no rear-facing camera, just the front-mounted FaceTime HD camera. It also eschewed the iPod touch loop connector that its siblings sported, and came in just a single color: silver. Now that strange one-off has been consigned to the dustbin of history, joining the likes of the rare aluminum unibody MacBook with no FireWire. 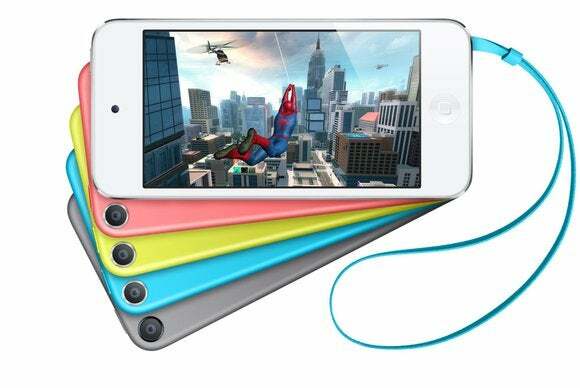 In its place is a fully featured 16GB iPod touch that comes in all the colors of the rainbow—well, the pink, yellow, blue, silver, space gray, and (Product) Red that the 32GB and 64GB models come in—and has the same 5 megapixel iSight camera and loop connector. (The wrist strap itself, however, is not included as it is with the more expensive models.) In other words, it’s more or less the 16GB iPod touch that we should have had all along—and for $30 cheaper. Meanwhile, the 32GB and 64GB models have dropped to $249 and $299, making them more affordable than ever. Coming on the heels of Apple’s new entry-level iMac and repriced MacBook Air, the theme of a lower cost of entry to the company’s product lines seems to be continuing across the board. (If you want, I suppose you could add last year’s iPhone 5c as a data point as well.) In some ways, that’s no surprise—Apple does usually get the cost curve on its products down as they age—but it also strikes me as a trend emblematic of Tim Cook’s Apple. The big question, for me, is whether any of those new prices are indicative of moves we might see for the iPhone come this fall. While the 16GB iPod touch now comes in at the same price point as a 16GB iPhone 5s, the 32GB and 64GB iPods are now cheaper than iPhones at equivalent capacities. Granted, the iPhones’ prices are subsidized—which makes the iPod touch prices that much more impressive. But as most of us have become more demanding with our iPhones, that 16GB base model is starting to seem more and more paltry.